During the 2016-17 flu season, over 100 children died from the virus. Yet, only 60% of children were vaccinated, despite the fact influenza kills. Not only do children die of the flu, but between 12,000 – 56,000 adults die every year from the flu in the USA. Some of those people are healthy young adults. In some years, the flu kills more people than many other things that we consider dangerous, like firearms and cars. It’s difficult to understand why parents seem to ignore the flu vaccine for themselves or for their children. Many people just don’t think the flu is that dangerous. Or they think the vaccine doesn’t work. Or they believe in some other myth that simply isn’t true. 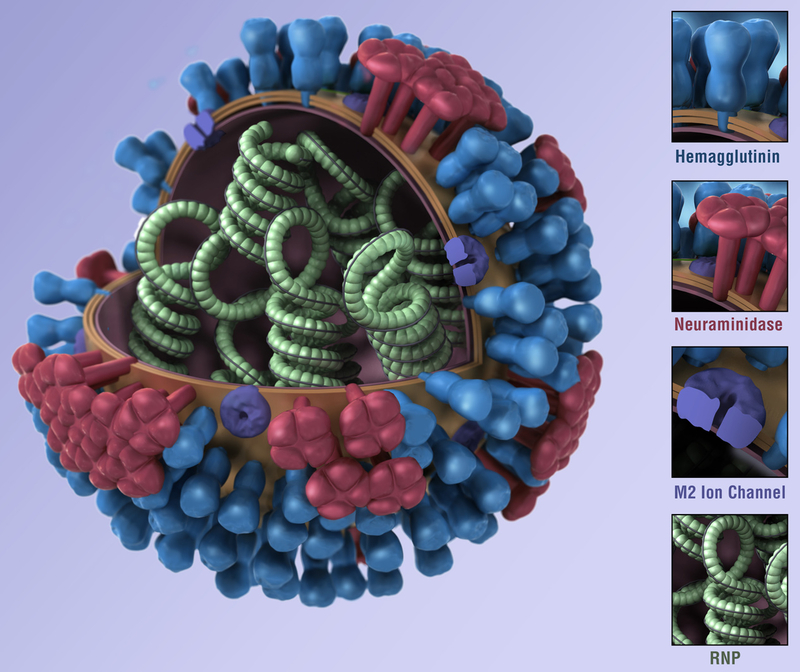 The influenza A subtype H1N1 was responsible for the 2009 flu pandemic, the last flu pandemic to strike the planet. It was estimated to have killed 477 children in the USA alone. In response to the 2009 pandemic, the H1N1 flu vaccine was first released to be used in an attempt to contain the pandemic. The vaccine was introduced in 2009, and it has been part of many flu vaccines since that time. There has been some discussion about the effectiveness of the vaccine, but most studies showed it to be very efficacious. A systematic review, considered the pinnacle of the hierarchy of scientific evidence, was recently published in the journal Vaccine, included well designed studies to examine the effectiveness of the H1N1 flu vaccine in both children and adults. The investigators identified 38 studies published between June 2011 and April 2016 that met the inclusion criteria for this meta-analysis – that is, any paper that focused on the H1N1 vaccine effectiveness during the 2009 pandemic. The data included data from over 7.6 million patient records derived from several different study designs. This review also examined the differences between adjuvanted, that is, those vaccines that contain an adjuvant to boost the immune response to the flu antigens, and unadjuvanted (no adjuvants) versions of the H1N1 flu vaccine. The children’s version of the vaccine only included adjuvanted version. The results of the study were clear. The pooled adjuvanted H1N1 flu vaccine efficacy in 1126 children was around 86% – this is an impressive number. 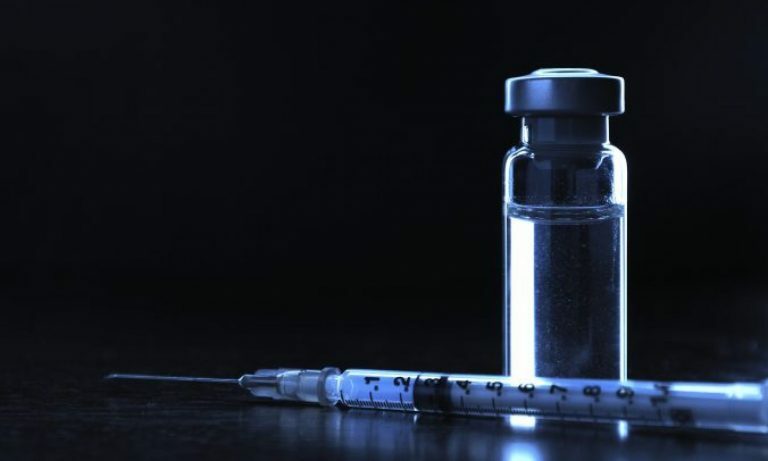 In the pooled data for the adjuvanted and unadjuvanted versions of the vaccine, results showed that there was moderate protection of around 49% efficacy in people older than 18 years. Similarly, in individuals older than 50 years, the data showed the vaccine efficacy for the adjuvanted vaccines was approximately 46%. 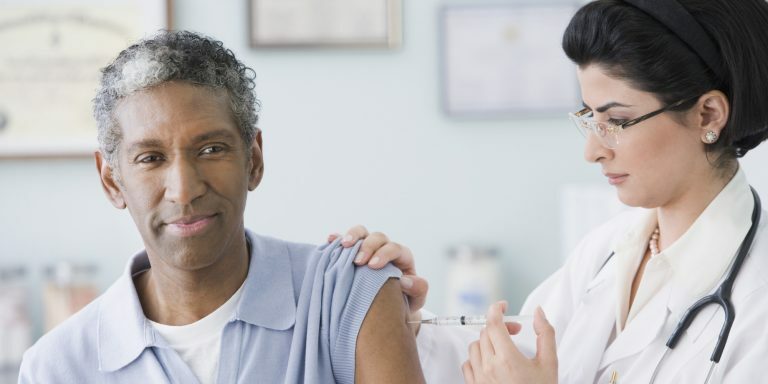 This lower efficacy in older adults has been observed in other flu vaccine studies. Although there’s no conclusive reason why there is a lower efficacy, there have been several hypotheses offered including a less fit immune system for individuals, or that the population of older adults may have already have some immunity to H1N1 through previous pandemics or circulating H1N1 subtypes. We further explained the overall inverse gradient between effectiveness and age by comparing adjuvanted versus unadjuvanted vaccines in each age band. Our results show that adjuvanted vaccines were significantly more effective in children than unadjuvanted vaccines in preventing laboratory confirmed influenza illness by almost a twofold difference in effectiveness. A similar pattern was also seen for hospitalization. However, in adults there were fewer apparent differences between the performance of adjuvanted and unadjuvanted vaccines for both outcomes. The higher effectiveness in children of adjuvanted vaccines compared to unadjuvanted vaccines noted here has also been seen in efficacy studies of seasonal trivalent influenza vaccines (TIV) in young children up to 72 months of age, in whom efficacy against PCR-confirmed influenza was 92% for adjuvanted vaccines versus 45% for unadjuvanted vaccines. Evidence from modeling studies suggests that children are a credible target group for pandemic vaccination, along with patients who have high-risk conditions. Once again, this is robust and exciting evidence of the effectiveness of the H1N1 flu vaccine against that flu subtype. The flu vaccine is often the ignored vaccine for children, probably because of enduring myths that the flu isn’t that dangerous or that the flu vaccine isn’t very effective. The H1N1 flu is dangerous, and it can be effectively prevented by the vaccine. So please, protect your children (and yourselves) with this vaccine. Lansbury LE, Smith S, Beyer W, Karamehic E, Pasic-Juhas E, Sikira H, Mateus A, Oshitani H, Zhao H, Beck CR, Nguyen-Van-Tam JS. Effectiveness of 2009 pandemic influenza A(H1N1) vaccines: A systematic review and meta-analysis. Vaccine. 2017 Apr 11;35(16):1996-2006. doi: 10.1016/j.vaccine.2017.02.059. Epub 2017 Mar 14. Review. PubMed PMID: 28302409. The H1N1 influenza pandemic of 2009 was the second pandemic in recent history that resulted from the H1N1 influenza virus, also known as the swine flu. The first one, known as the 1918 flu pandemic, killed over 50 million people, or about 1-3% of the world’s population at the time. The 2009 pandemic, though not as serious as the one in 1918, probably killed over 500 thousand people worldwide. In the United States, the CDC estimated that between 43 and 89 million people were infected with the 2009 H1N1 flu. They also estimated that of those, about 200-400 thousand were hospitalized, and approximately 12,470 died. The only reason the pandemic wasn’t worse was probably as a result of an effective H1N1 vaccine along with a broad effort to vaccinate those at highest risk of complications. The CDC is reporting that influenza activity continues to increase in the United States and most of the country is now observing high levels of influenza-like-illness (ILI). ILI reports are approaching levels that usually seen during moderately severe flu seasons. Of course, the CDC continues to recommend vaccinations for the flu, and antiviral treatment if appropriate.